After almost 18 months off-air Doctor Who returned to television in September 1986 with the 14-episode The Trial of a Time Lord, an epic serial intended by its production team as a grand statement about both the programme and its lead character. Its final two episodes, ‘The Ultimate Foe’, would prove to be the climax, if not the resolution, to the longest ever Doctor Who serial and to behind-the- scenes issues, both inside and outside the programme’s own production office, that had dogged the series for over a year. Suffering from unprecedented scripting issues, including the death of its original writer and the withdrawal of his successor’s replacement script for the final episode after it had been issued to the cast and crew, this serial, while not intended as such, also came to serve as the finale for Colin Baker’s interpretation of the Doctor on television. 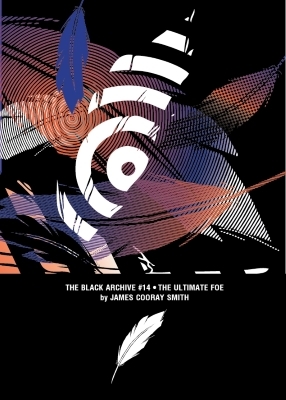 This Black Archive examines multiple drafts of both episodes’ scripts to look at creative conflicts behind the conclusion to this epic adventure, and the clash of intentions and interpretations that resulted in what was seen in the final transmitted programmes. James Cooray Smith has written for The New Statesman and Radio 4 and contributed the production subtitles to several BBC Doctor Who DVD release. He is the author of Black Archive #2: The Massacre.